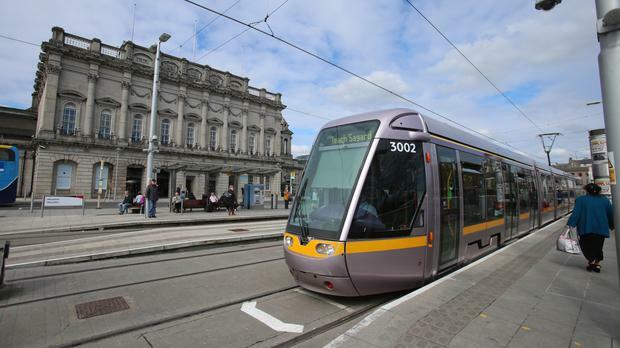 Luas drivers are set to ballot on a plan to put fresh sandwiches and ready meals in vending machines to end a long-running row over their lunch breaks. They would also get a €2-a-meal subsidy under a new proposal tabled by their employer, Transdev, to avoid industrial action. The offer to add more food options to the limited stock provided in the machines was made following a meeting between Siptu and the tram operator last Friday week. A meeting was called after the drivers narrowly voted against a plan that meant their food would be subsidised, but did not include the offer of better-stocked vending machines. They previously turned down a proposal to keep their lunches fresh by using cooler bags in their cabs. There were fears of industrial action after the row erupted when drivers complained they had to take breaks in depots without canteens. They said there were limited facilities for taking breaks when the Green Line was extended cross-city two years ago. The drivers rosters' meant they had to take breaks at the Broombridge depot rather than Sandyford, where they stored lunches in a fridge. Transdev argued it would have to hire five extra drivers at a cost of €250,000 a year to allow staff to return to their original depot for lunch. The Labour Court said the drivers should accept it was reasonable to take breaks at depots other than the one they started from. It recommended a risk assessment of the effectiveness of cooler bags. This risk assessment by a thermal engineer found lunches would stay safe for up to six hours in a closed and zipped cooler bag. Luas drivers went on strike three years ago, forcing commuters to walk along track lines to get to work. The dispute ended when the drivers accepted pay rises of up to 18pc over four years. They originally sought increases worth up to 53pc.